I love these!!! 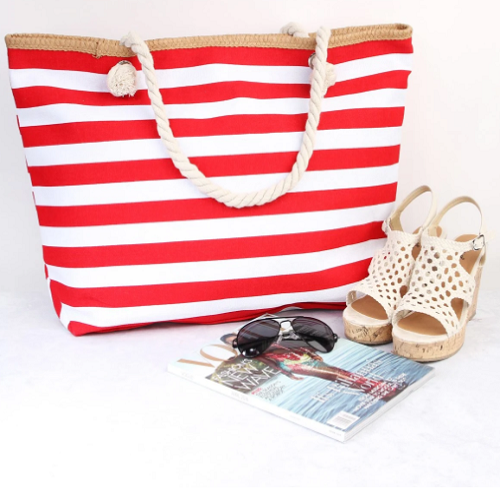 Hurry over to Jane and get one of these Jumbo Stripe Tote Bags for Only $8.99! (Reg. $35). Carry your belongings in style with this canvas oversized tote. Spacious and stylish, this tote bag features a zip closure to keep your necessities secure while the double shoulder handles make for easy carrying. This sturdy bag comes with an interior zip pocket and cell phone pocket to keep things neat and organized.